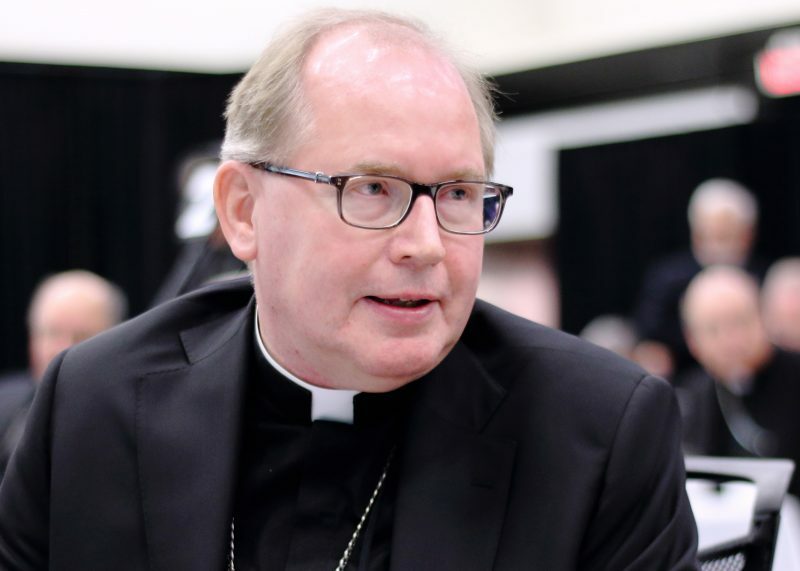 CORNWALL, Ontario (CNS) — A Dutch cardinal warned Canadian bishops about the “slippery slope” of euthanasia, which has been legal in the Netherlands since 2002. At first, only those at end of life with unbearable physical illness had access to euthanasia at their request, said Cardinal Willem Eijk of Utrecht. Then people with mental illness had access. Then people with dementia who had made an advanced request could be euthanized; then people who had not made requests were euthanized. The Dutch also have allowed euthanasia of children, though most of the time handicapped children are killed in utero through abortion, he said. “When you leave the door ajar, it will always open more,” he told members of the Canadian Conference of Catholic Bishops Sept. 26, the first day of their five-day meeting. Canada recently legalized euthanasia. The bishops heard a report from the lay-run Development and Peace, which the bishops founded nearly 50 years ago, and were to look at church relations with native peoples and a new document for safeguarding children. In the Netherlands, the debate over euthanasia and assisted suicide began 50 years ago, Cardinal Eijk said. People argued that physicians needed a new set of ethics because medical advances gave doctors too much power to force treatments on people to prolong life at any cost. The ethics of refusing medical treatment that resulted in a patient’s natural death became conflated with a physician killing a patient in order to remove his suffering. “No new ethics (are) needed,” Cardinal Eijk said, noting that euthanasia and assisted suicide are both intrinsically wrong, and they are not the same as the removal of medical treatment in most cases. He said the Canadian bishops must continue to make moral arguments against euthanasia in the public square and continue advocating for palliative care. Palliative care in the Netherlands was only considered in the late 1990s, he said, but the politician who introduced it said palliative care should include requests for euthanasia. Cardinal Eijk also urged Canadians to fight for conscience rights. He noted the Council of Europe tried to pass a law forcing physicians to perform abortions, but repeated interventions by European bishops prevented it. In the Netherlands, only about 15 percent of physicians refuse to perform euthanasia, he said. He has not heard of anyone who has lost a job for refusing to take part in euthanasia, but finding a job may be difficult for such a person. He also discussed the ongoing work of reconciliation with Canada’s native peoples, pointing out that while the CCCB never had a role in running Indian Residential Schools, the care of indigenous peoples has been a major focus of many dioceses and religious orders. “Later this week, you will receive a progress report on the proposal for the CCCB to be part of an ongoing ‘circle’ of Catholic parties to continue to focus on indigenous relations,” Bishop Crosby said. Bishop Crosby noted Development and Peace, the lay-run overseas development agency founded by the Canadian bishops, will celebrate its 50th anniversary in 2017. The bishops heard an update on the organization’s activities by Deacon Jean-Denis Lampron, president of Development and Peace’s National Council.